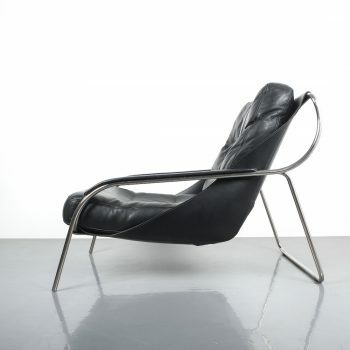 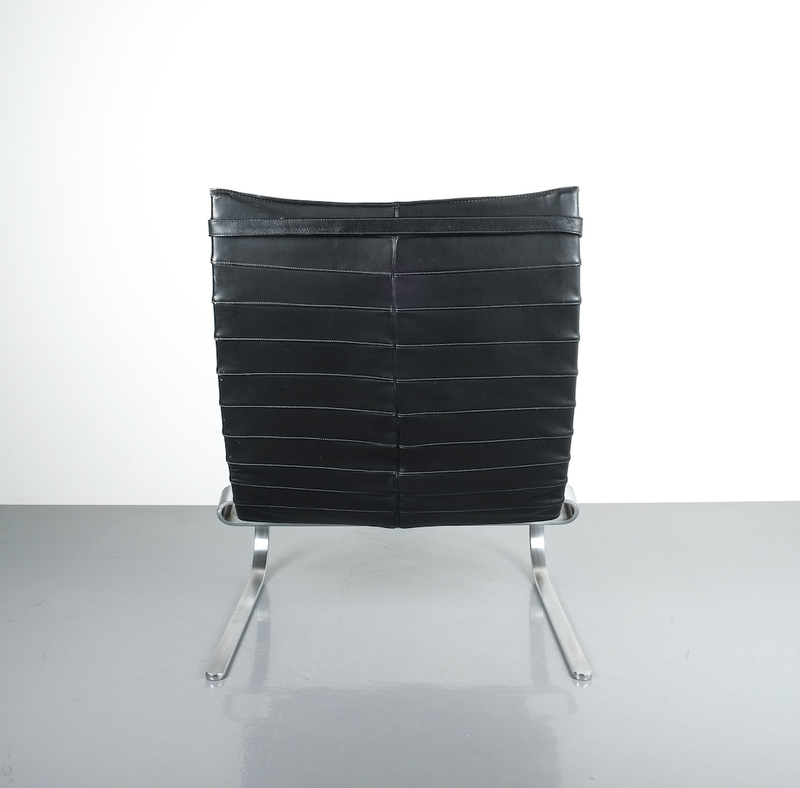 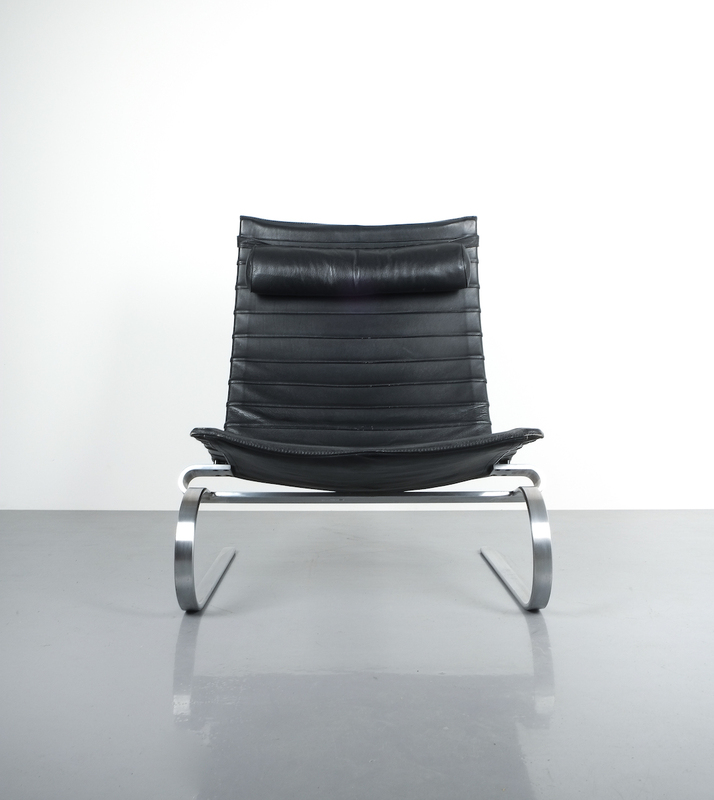 Poul Kjaerholm Early Fritz Hansen PK20 Lounge Chair in Black Leather, 1987 (labelled). 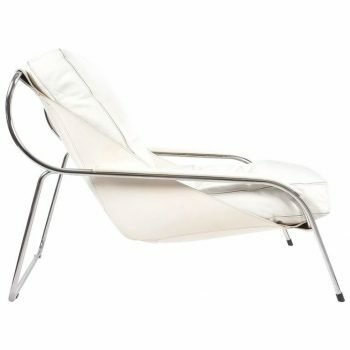 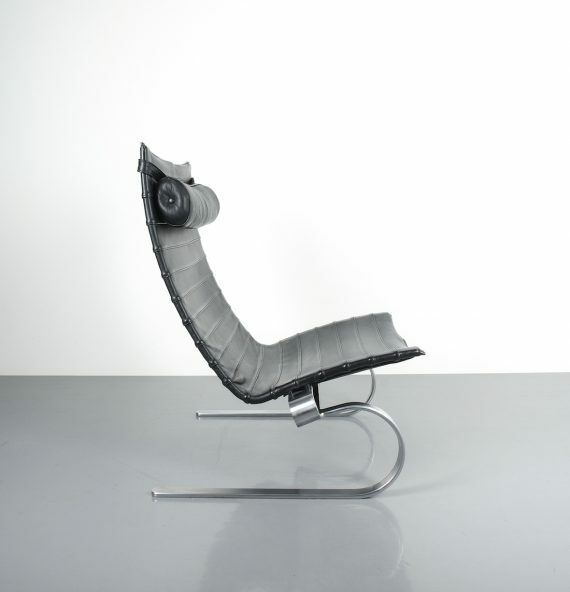 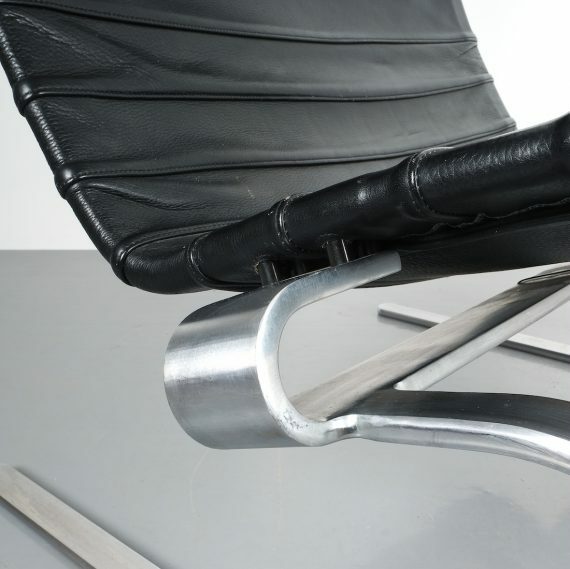 Poul Kjærholm for Fritz Hansen, Denmark 1987, Lounge chair PK20, in stainless steel and leather. 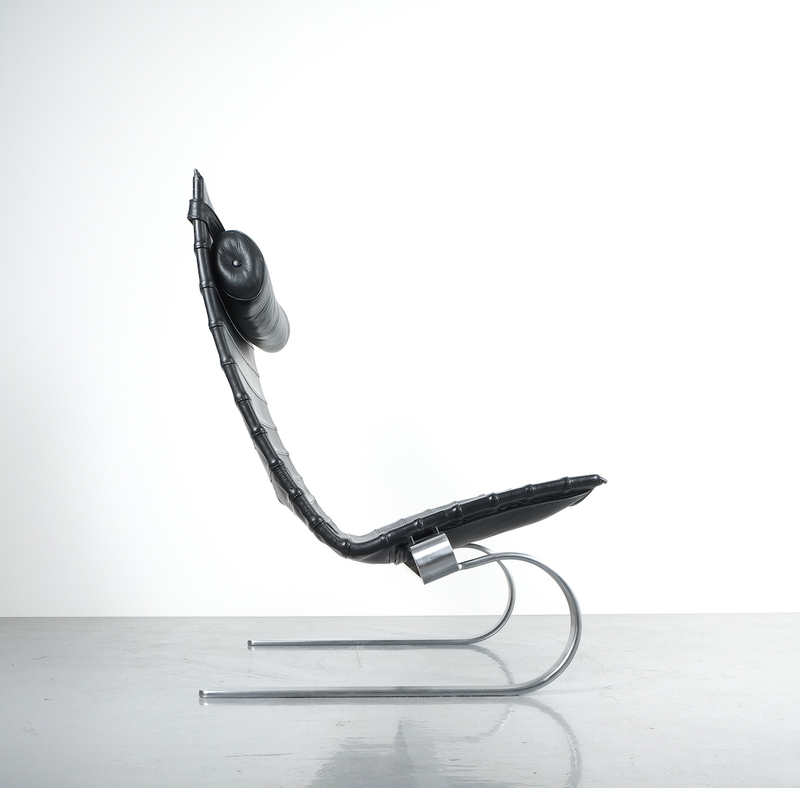 Cantilevered easy chair designed by Poul Kjærholm (originally designed for E. Kold Christensen.) 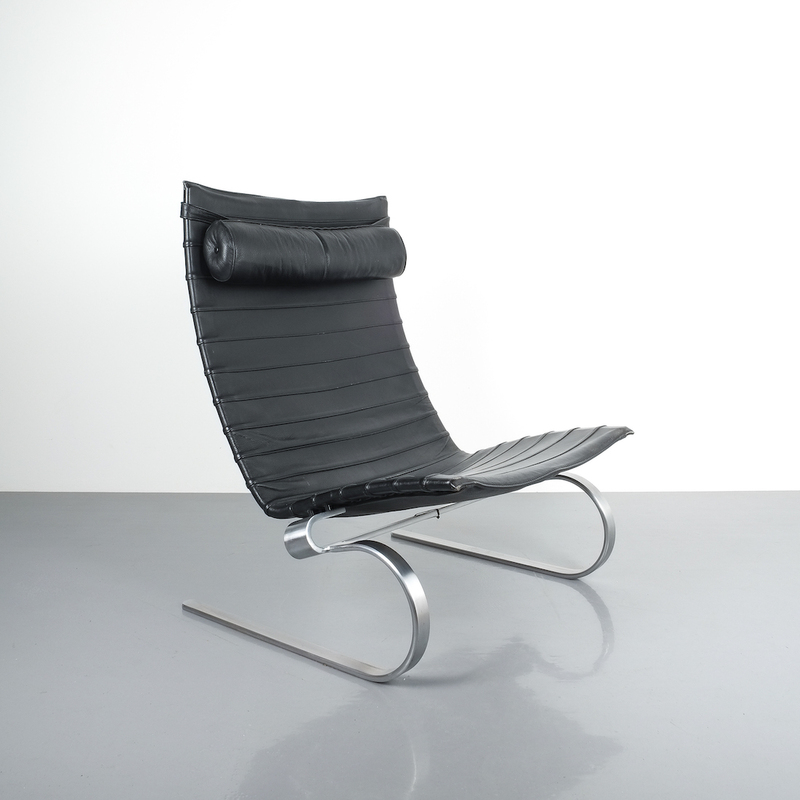 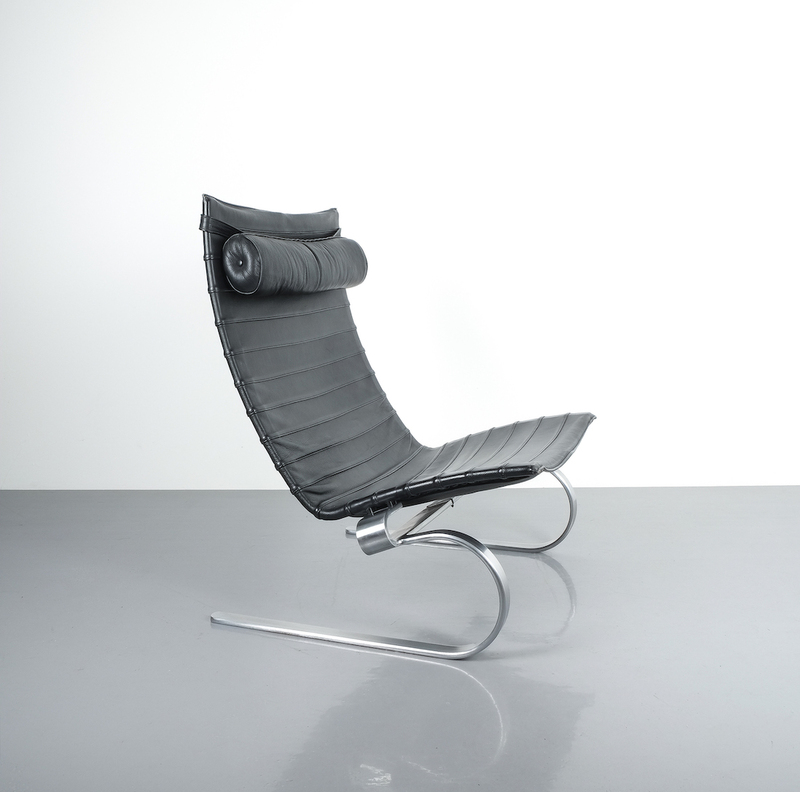 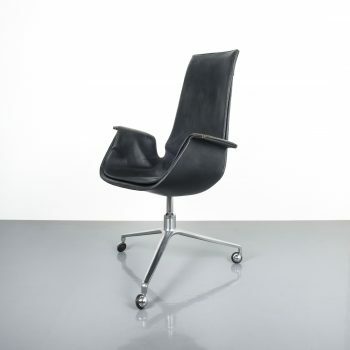 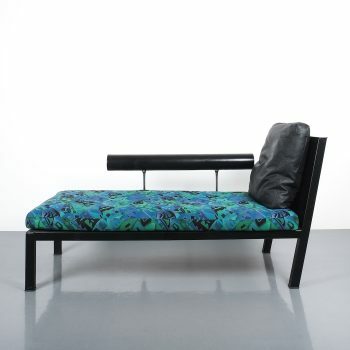 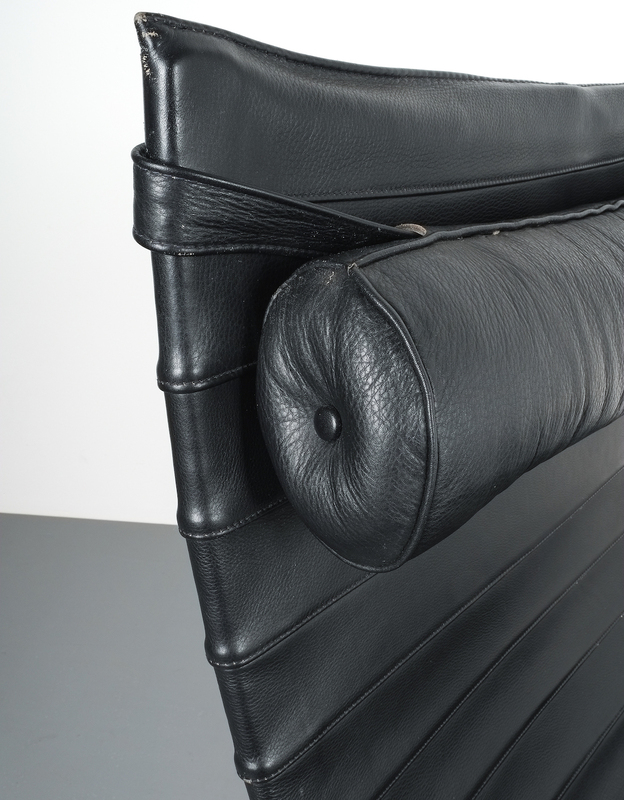 Danish design icon made of matte, chrome-plated spring steel and upholstered in original black leather. 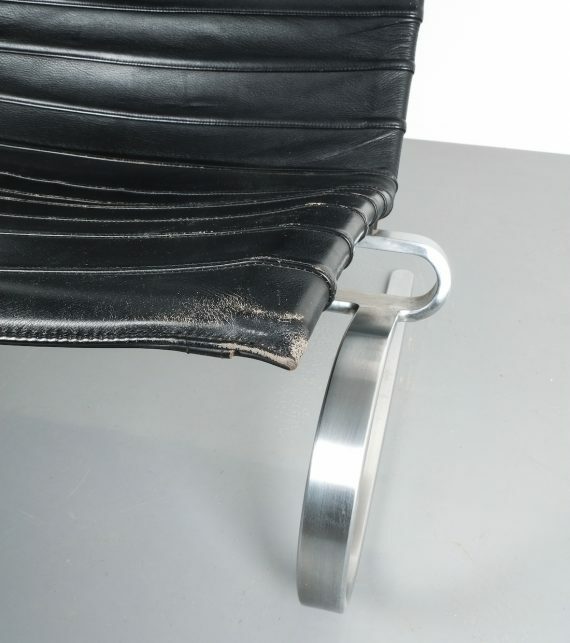 The black leather shows traces of age and use. 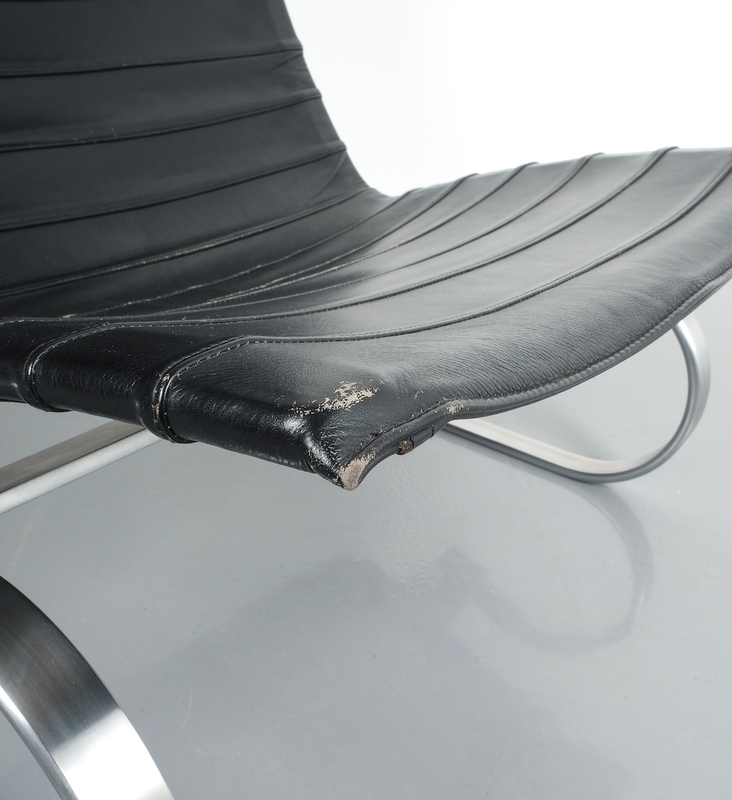 Overall it is in good vintage condition with no major flaws. 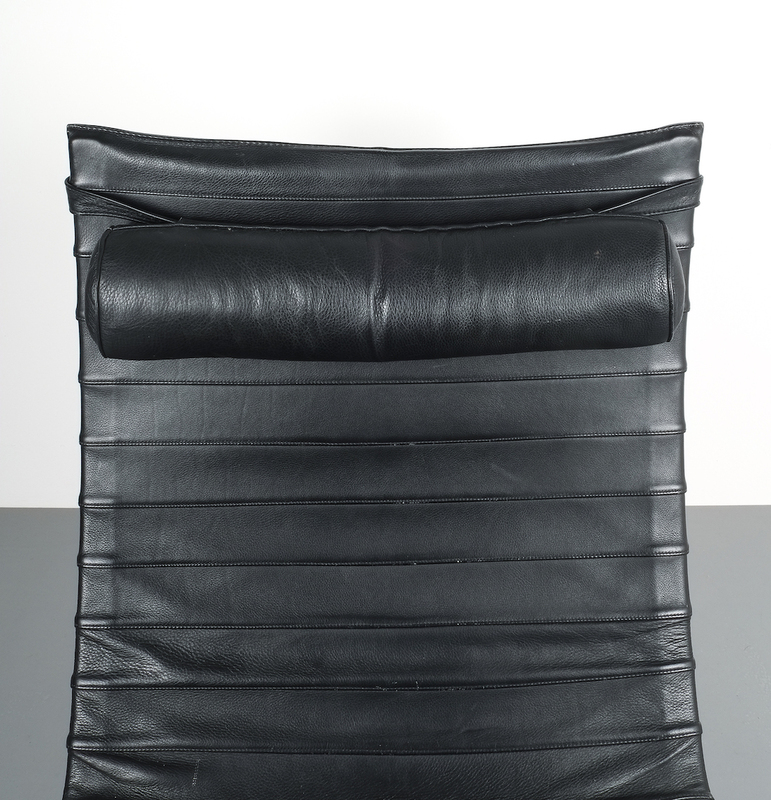 Literature: “Poul Kjærholm”, Arkitektens Forlag, 1999, ill. and referred to on p. 30-31.